​Kansas has been halter exposed, but has not been fully halter trained due to our work scheduling and training of heifers, but he is a calm guy and does enjoy a good comb or a scratch between his shoulder blades. 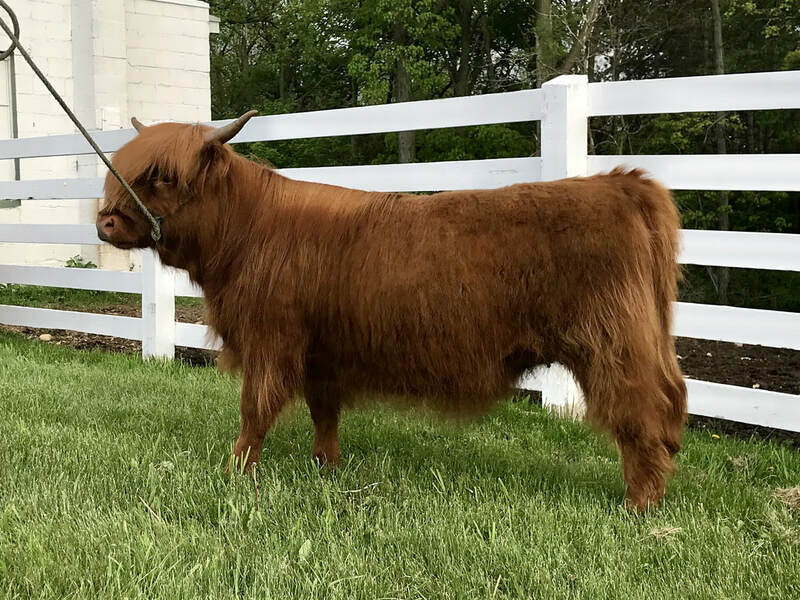 He is a stout fellow with a pedigree that goes back to Scott of Craycombe on his dams side, and is sired by Skye High Wayward Son, 2011 NWSS Grand Champion Highland Bull. Kansas has been vaccinated with a breeding soundness exam completed, so is ready to go.